Is your liver toxic? If you live on planet earth, then yes, without a doubt. Do you ever wonder why some people can go all day without crashing and then some people always seem to run out of steam before the day is even done? The answer lies in liver health. Your liver is in charge of “taking the hit” so your body can continue functioning without getting compromised. We are exposed to toxins everyday through our food, water, air and the more we collect, the less space our livers have to process glucose. What does our body run on? Glucose and if you have no room left to process it and turn it into energy, you’re going to feel lethargic day in and day out. Not fun. The good news is that there are many safe ways to gradually detox your liver and experience high levels of energy all throughout the day without relying on caffeine. Imagine that!? Here are the best ways to clean house and get your energy back. By eating a low fat diet you are taking away the burden of processing fats from your liver so now it can focus on the things that really matter: the toxins! Stay away from too much oil, fried foods and heavy desserts. Alcohol is also a big no-no because guess what, it’s just giving your liver more junk to process. Stick with lean cuts of meat such as shrimp, salmon and chicken breast and keep your dairy products to a minimum. A bit of 0% Greek yogurt should be ok. Replace calories lost through fats and oils with root vegetables like sweet potatoes and squash. The best fats to have if you are going to have any are olive oil, avocado and coconut oil. These are “healthy” fats and are a but easier on your body. If you feel like you start to feel lethargic after a few days of eating low fat, this is a sign that you might b detoxing too fast. Add in more plant fats like nuts, seeds and avocado and you’ll be able to live an active life while getting your liver clean. 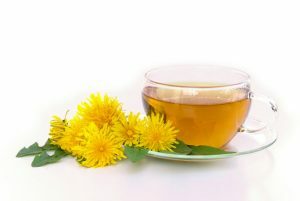 You might have seen roasted dandelion root tea at the supermarket and that can help to a certain extent but it’s not nearly as effective as “raw” dandelion root tea. This bitter tea helps your liver with phase 2 detoxification. Dandelion root is kind of like a warm hug for your liver. It squeezes the toxins out sort of like a old wet dish rag. The bitter taste of the tea also stimulates bile flow which is released by the liver during the digestion process. It just makes it work the way it should. This one is huge! The best way to incorporate raw spinach is through green smoothies! Throw a couple bananas, some berries, coconut water and spinach into a blender and drink it in. You want to avoid cooked spinach as it contains oxolates and is not particularly good for you. Spinach also contains glutathione which is the “mother of all antioxidants”. It basically helps the body detox more efficiently and effectively. Asparagus and avocado also contain glutathione, but spinach takes the cake. Drinking fresh celery juice can do wonders to rejuvenating your liver. In a recent study, rats were put on a high-cholesterol diet but we’re given high amounts of celery (as well as chicory and barleygrass). Even though they were consuming a horrible diet, the fat stores in their livers were diminishing. This proves that the dose of celery was actually healing their livers! Imagine that! The best way to consume celery is in a juice. You can add some parsley for some extra punch and detoxifying power. For the most effective results, drink the juice on an empty stomach. Nettle leaf can do no wrong. The amazing thing about nettle leaf tea, is that it is chock full of minerals that are amazing for the liver. Nettle Leaf is good for general detox and aids your kidneys and lymph system to empty out. Add this into the mix to make sure everything is working in harmony. Nettle contains high levels of silica, iron, phosphorus and zinc which are crucial for liver health. Lemon water first thing in the morning on an empty stomach will do wonders for your liver. By adding a squeeze of lemon to your water you are bringing it back to life. Most of our water nowadays is just dead. 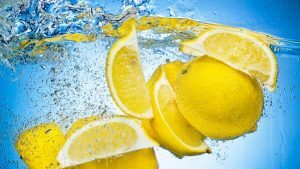 By mixing in some lemon juice, the water can now do what it’s meant to do and flush out the toxins. 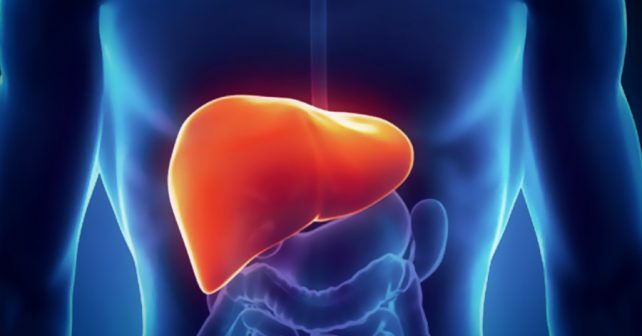 Give your liver a detoxifying bath every morning with this simple trick. What in the world is MSM? It’s the short form for methylsulfonylmethane and it’s naturally derived from the earth’s rain cycle. It’s an organic sulfur compound that is great for liver detox. It makes cells more permeable allowing for a smoother detox process. When paired with vitamin C, MSM is even more effective. Choose a calcium-buffered Vitamin C powder or one derived from camu camu berries. The straight ascorbic acid is too rough on our digestive tract. Similar to nettle leaf, schizandra berry is one of those jack of all trade herbs. Not only does it support your adrenals, but it is a powerful antioxidant as well which provides your body with that wonderful, wonderful glutathione. Not only does glutathione reduce aging and stops oxidation in us tracks, it is the reason why we can use the vitamins we consume. Without enough glutathione we can’t detox and we will become deficient very fast. Berries are known to be high in antioxidants and schizandra berry is no exception. Schizandra berry is an adaptogenic herb as well, meaning it works WITH your body to get it through stressful periods. A helpful bonus!